Sissy: So Jeni has come to Lake Itasca with her extended family to scatter the remains of her grandfather on the lake. This leads one to ponder on the backstory that is only alluded to in the book. We know that the grandfather was a great traveler and had some sort of connection to the lake and there is something hinky in the genealogy, perhaps suggesting that Jeni has Native American roots. As the story progresses, what you find out about Jeni makes it seem obvious that she must have Native American blood. All this rambling by me leads to the point that I found this YA storyline to be different and refreshing and happily much less angsty than all the paranormal YA stuff I’ve been reading lately. Bubby: Yes, it does seem like we tend to get in a rut, eh Sissy? 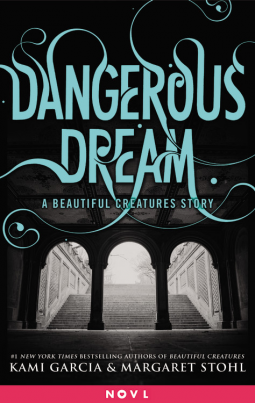 I think YA paranormal romance is like candy; really fun and delicious in small doses, but too much makes my tummy hurt. While Thunderstone is still technically in that genre, there are no fairies or witches or vampires. Just Native American legends come to life. Sissy: I didn’t think I would like Thunderstone. Bubby didn’t think she’d like it either but we were both wrong. Bubby: I am never wrong. I was simply too hasty in my judgemental process. Not wrong. Sissy: You were too wrong, you nerf-herder! Get over it! As I said before, it was a really interesting and engaging story. The only problem I had with it is that Jeni is only 15 and to have a “great love” and such fortitude under duress is way more mature than most 15 year-olds actually are. When I was 15, I was a complete social bumbling idiot who would have run home and cowered under her mother’s bed at the sight of a water monster or any sort of supernatural entity. My “great love” was a crush on the neighbor boy, and if he even looked in my direction I would run away and write about it in my journal. Something like “Oh Happiness–“D” looked at me! It must be true love! I can’t wait until we get married!” P.S. “D” now looks like a hairy neanderthal and I’m so glad I didn’t marry him. Bubby: I totally agree. I like to pretend that the years between 11 and 19 just didn’t exist. No way could I have dealt with any sort of mythical beastie and survived! Heck, I don’t think I would survive a mythical beastie now! At any rate, the storyline of Thunderstone moves along at a swift and satisfying pace. I was never bored or felt like things were dragging. Sissy: Ice, on the other hand, has a bit mroe reason to be mature for his age. He has experienced many tragical things in his life and has been given much responsibility. Plus he’s a total teenage dreamboat hunk of burning love olive skinned chisel-cheeked Native American boy. Who can resist that? Bubby: I am more partial to the Viking-warrior type myself, but I can certainly see the allure. I must say though that my favorite character was cousin Tyler. He and Jeni have a relationship more like siblings than cousins. I felt the need to smack him in the head repeatedly at the beginning of the story but he really turns into something quite wonderful by the end. Reminds me of my brothers, one in particular. Totally annoying and obnoxious during childhood but a pretty awesome human being as an adult. Sissy: Thunderstone is full of action and adventure, and although there is a love story, you only get it in small bits. The Native American folklore is fascinating and Thunderstone makes me want to learn more about it. 3.5 bubbles. Bubby: Barbara Pietron really has written something special here. Romance, danger, family – it’s all there. 3.5 bubbles from me too. We received a copy of Thunderstone from NetGalley in return for a fair review. Sissy: In What Happened to Goodbye, the main character McLean deals with her parent’s divorce and frequent moves by becoming a different person in each new place. As a child I moved a lot but while I entertained the idea of changing myself, I never was brave enough to carry it out. I think the idea is good except you never get to truly know yourself, which McLean finds out in the end. Bubby: I actually tried this once. I’ve always been the loud, out-going, attention seeking type of girl, and I’ve often been told that I needed to be quieter and more reserved. Shortly after I was married, my dear hubster and I moved across the country to a city where I knew absolutely no one. No one knew my family, no one had preconceived notions about me. I decided to be that shy, sweet, quiet girl people kept telling me I should be. And I was. For about 18 months. But it wasn’t really me. And I was so relieved when we moved back to a place where people DID know me – because then I could be myself again. I learned that I don’t have to apologize for the quirks and traits that make me Bubby. I’m pretty awesome just the way I am. Sissy: Thanks for tuning in to Dr. Bubby’s Self-Therapy Hour. I do think you’ve turned out pretty smashingly, to tell the truth. 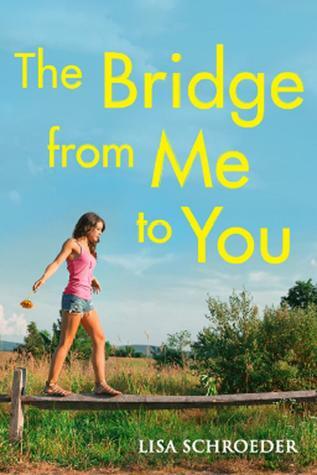 Sarah Dessen is the quintessential coming-of-age author. We have dysfunctional relationships, secrets and communication failures, self-discovery and first love. This story is beautifully written and I spent the entire afternoon engrossed in it. Nobody cared because they were all out fishing. Although well-written, all of Sarah Dessen’s books are not squeaky clean so let the buyer beware. Bubby: Yes, I was surprised when you told me to read What Happened to Goodbye. I have read Sarah Dessen before and had been put off by a bit too much something-something (if you get my drift). Just goes to show that authors are subject to whims just like everyone else. I got sucked into this story quickly. It’s such a great concept and it illustrates the truth that if someone really loves you, they love you inside and out, warts and all. McLean and Dave’s relationship starts off rocky – I believe she actually inflicts harm upon his person (unintentionally, of course) but grows so easily and naturally that you can’t help but fall in love right along with them. Sissy: I think it would be really difficult to recover from the kind of betrayal McLean feels from her mom. It is understandable that she just wants to move from place to place, never getting involved, never putting her heart on the line. But she not only finds the strength to change this pattern in her new town, she also finds unexpected friendship and love from many different people. Maybe she was just ready and didn’t know it or maybe there is something really special about that place and the people she meets there. Bubby: Can you imagine how our daughters would feel if we not only cheated on their dads, but cheated on them with the coach of their favorite sports team? And then had twins with said coach? I think part of the reason McLean constantly changes herself is because her mother has changed so much in her new role as high-profile coach’s wife. Gone is the laid-back, granola mom of the past, replaced by a woman who is perfectly made-up and coiffed at all times, complete with snooty vacation home on the beach. Who are you supposed to model yourself after when your role model has changed and disappeared? Sissy: Fetal position, dude! But take heart, happy endings are in sight. You know this because I otherwise would not have read it or reviewed it. Great book. Give your children a Benadryl and spend the afternoon reading. (Just kidding. That would be felonious behavior! No lawsuits, please. Twas only a joke.) Yes, What Happened to Goodbye by Sarah Dessen gets 4 angsty romance bubbles from me. Bubby: And now we know why Sissy’s children are the way they are. 3 1/2 bubbles.